On December 11, 1962, the Red Sox made a trade with the brand new New York Metropolitans (Mets), sending infielder “Pumpsie” Green and pitcher Tracy Stallard to New York in exchange for infielder Felix Mantilla. Green had spent four years with the Red Sox predominantly as a back up infielder and he never hit above .260. 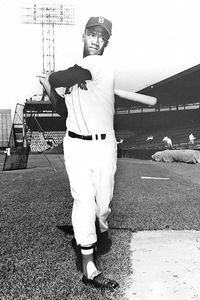 However he forever etched his name in Fenway Park history by simply joining the team in July of 1959 and finally integrating the Boston Red Sox. And when he took the field at second base on August 4th that same year, it marked the first time that a black man played for the Red Sox at Fenway Park! Tracy Stallard was a prospect who had thrown in 48 games in three seasons with the Red Sox with an overall record of 2-7. However, one of those games happened to be October 1, 1961 at Yankee Stadium. It was the best outing the young right-hander had in his tenure with the Red Sox, he pitched seven innings, struck out five, only gave up one run but lost the game 1-0. Oh, and the run, a fourth inning home run to Roger Maris, his 61st of the season. Originally signed by the Boston Braves in 1952, Puerto Rican born Felix Mantilla made it to the big club in Milwaukee in 1956. He too was predominantly a back up infielder with the Braves and he was part of their World Series teams in 1957 and 1958, seeing action in both Series’. Drafted by the Mets in the 1961 expansion draft, he was the regular third-baseman on their inaugural 1962 team. He played three seasons with the Red Sox. In 1964 he became a force when as a utility player seeing action at first, second, left and center in a total of 133 games, he hit 30 home runs. 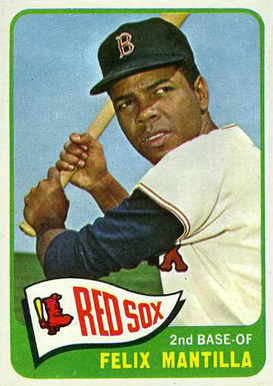 In 1965 he hit 18 homers and knocked in a team leading 92 runs and was chosen as the second baseman on the American League All Star team, becoming the first black man from the Boston Red Sox to make the All Star team. 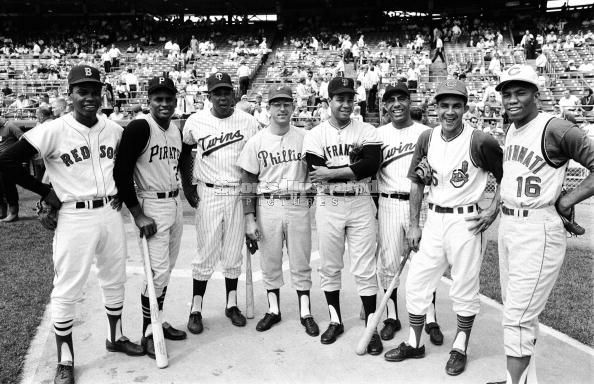 Eight Latinos at the 1965 All Star Game in Minnesota: Mantilla, Clemente, Oliva, Rojas, Marichal, Versalles, Davalillo and Cardenas. And so it was on this date in Fenway Park history, December 11, 1962. 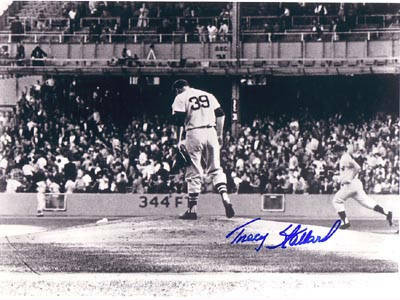 This entry was posted in Fenway Park Baseball and tagged "Pumpsie" Green, Felix Mantilla, Fenway Park, Tracy Stallard. Bookmark the permalink.